The light today in Edinburgh was amazing. It was an incredibly bright clear day with pure clean light. It was one of the days that reminds me how absolutely stunning the city is and how very lucky I am to live here. I took some phone photos this morning at Inverleith Park and they hardly begin to show how incredible the skyline was with piercing sun in one corner stretching on past the castle to the other buildings that make up the fabulous view from the park. I so wished I had grabbed my camera before we dashed out. The photos are not up to being published I’m afraid but I will be straight back there the next bright day. Introducing Lennie, our other dog, who does not stay still long enough to have his picture taken very often. He was sitting on the earth beside me, enjoying the sun, when I was photographing the witch hazel and I managed to catch him being still for once. 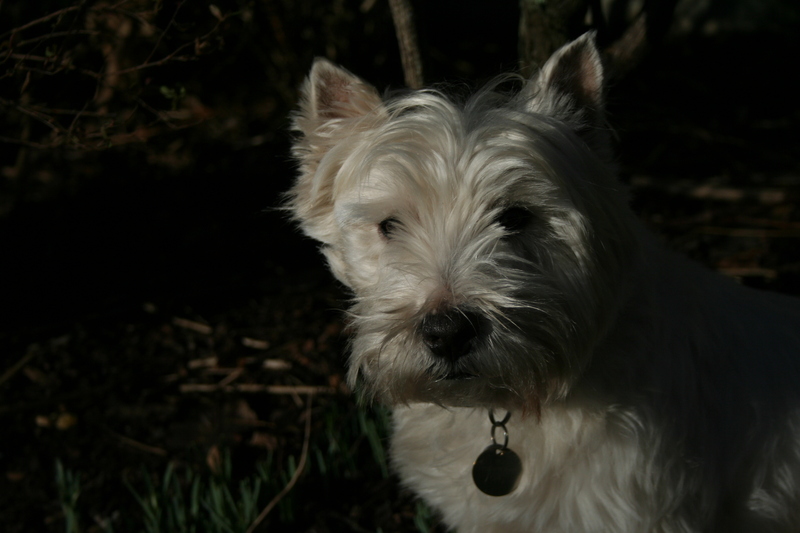 Lennie, the hardest dog ever to photograph. 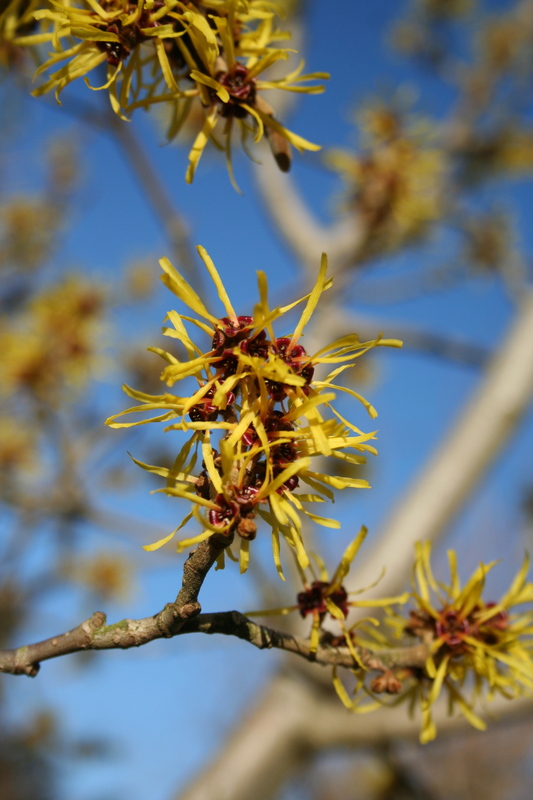 The witch hazel is the only colourful thing in the garden at the moment, it is a stunning yellow burst against the green. I did spot these snowdrops coming through though and if you look really closely you can see some white petals getting ready to burst. 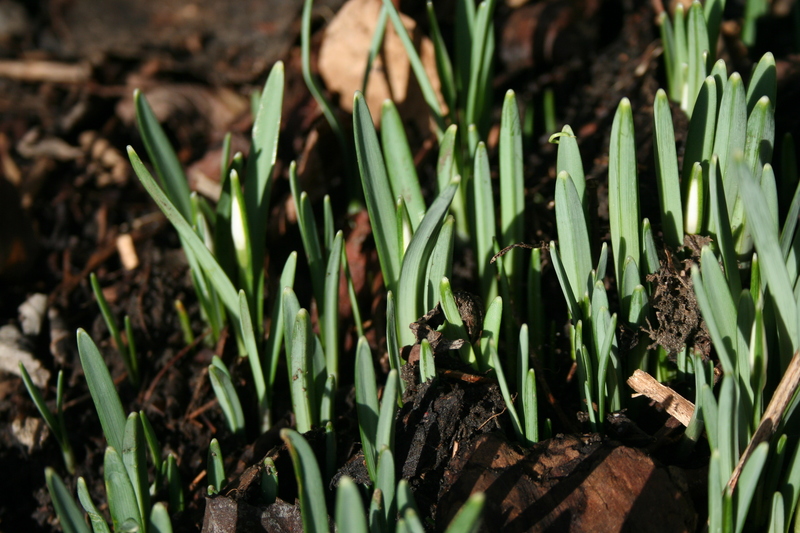 The first snowdrops are getting ready. Just in case you thought that I had totally forgotten what’s happening on Tuesday, I haven’t. We have spent hours moving boxes about, treading carefully down those perilous stairs with heavy loads and have just about cleared the upstairs now. It feels ever so slightly wrong to be ripping what has been there for so long. There are some before photos coming this way soon.